Problems People Have, When They Use Biblical References To Justify Their Prejudices or Their Truth. & Sanctify Their Prejudices or Their Truth. I read with interest the article on the Religion Dispatches website March 31, titled: "Fact-Checking Scripture: "Those Who Do Not Work Should Not Eat." 2 I agree with the author that when someone cites a passage from scripture to support their opinions, a wise listener or reader will pull out their Bibles and check to see if the passage is being quoted accurately, and whether they agree with how the passage is being interpreted. However, far too many liberals believe that the laws of the land should only be based upon facts (scientific facts, research data, statistics) not on scripture or emotions or prejudice. They consequently lose a great opportunity to suggest another Biblical passage that contradicts the one their opponent used. At the least, this will embarrass their opponent and may leave him/her temporarily speechless! "Anyone unwilling to work should not eat." Verses 34-36 "...Come you who are blessed by my Father, inherit the kingdom prepared for you from the foundation of the world; for I was hungry and you gave me food. I was thirsty and you gave me something to drink. I was a stranger and you welcomed me. I was naked and you gave me clothing. I was sick and you took care of me. I was in prison and you visited me." Unfortunately the only way to counter a Biblical argument is with a better Biblical argument AND scientific facts, research data, and statistics. When someone attempts to claim the moral high road for their position the only thing an opponent can do is to yank the moral high road out from under them by exposing the flaws in their argument. those who believe religious beliefs should be kept out of public discourse because such discourse demeans the sanctity of religious beliefs. Perhaps this is one reason why the concept of separation of church and state was such a good idea. It discouraged some religious folk from airing their disagreements over theology in the public arena. i.e. it kept them from airing their dirty linen in public so Christendom could present a unified moral front. Sometimes, I think people toss out Biblical citations hoping no one will check them for accuracy. It is the "if you can't wow them with your brilliance, then baffle them with your bullsPit" philosophy. Another way to put it is if you sound erudite and virtuous, maybe folks will think you actually are! Sometimes, I think people have already decided on an action and then look for a Biblical passage to justify and sanctify that action. They realize that they need the backing of a "higher authority" to support their position, because their position is weak or unsupportable without it. Sometimes, people should be very careful about the passages they cite. A wise reader just might use the same passages against them! One day, I arrived home to find a pamphlet from The Watchtower Society, (the Jehovah's Witnesses) stuck in my door. 3 (I will use "JW" in the rest of this piece rather than spelling out the full name each time.) This piece shows many of the problems people stumble into when they use Biblical references to justify and sanctify their prejudices or their truth. I sat down and looked through the pamphlet. Most was innocuous. 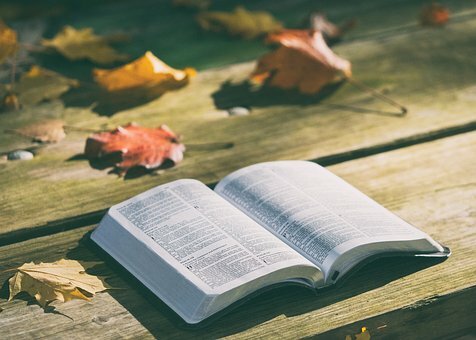 One article caught my eye "What Does The Bible Say About Homosexuality." I read the article and checked the citations. I was appalled at what I found. This was a blatant disinformation piece. The issue here isn't about the writers and publishers of this pamphlet having a different opinion from mine about Biblical interpretation. I'd be okay with a comment that says for example, "Our interpretation of this passage means...." Instead they make a statement, put it in quotations, cite a Biblical reference, and claim their statement is taken directly from the Bible. The JW's add at one point this quote "That is the Witnesses' lifestyle choice, and they have a right to it." I am not in any way suggesting that they don't have the right to believe whatever they want to believe, just as I have the right to reject their beliefs as immoral and unsubstantiated. At what point is distortion and outright lying counter-productive to their intentions? In their zeal to find new converts and promote their belief system have they crossed a line with lies, half truths, distortions about what the Bible actually says (as opposed to their interpretation of what it says) and damaged their honor and integrity? I think that with this pamphlet, they have. Some will see my criticism as an expression of intolerance. Intolerance is the refusal to allow others to do or think as they choose. This would mean passing laws that prohibit free speech, or the right to attend the church of their choice, or the right to interpret the Bible as they understand it, or the right not to attend church, or the right to marry whom one wishes to marry, or the right to make their own health care decisions regarding reproduction, end of life choices, etc. Expressing disapproval of their thoughts or actions is NOT intolerance. This is honest discourse, fair discussion about differing points of view -- in this case from a public publication. It is like a book review. For me and many others, analysis and critical review of articles, books, the news, social media posts, essays such as those on this website (including the ones I write) is one way we learn. It helps us to become more thoughtful, critical and careful readers, writers and consumers of information. I have used the word "critical" in two different senses. To be critical of something is to criticize that something; it is about passing judgment on something. In this case, I pass judgment and express my disapproval of an essay in a publication distributed by a religious group. To read something critically one looks for the errors and misstatements, fabrications, facts, logic, rationality or irrationality. Does what you are reading or hearing agree with reality as you see and experience it? We do this to make an informed opinion on the piece so that we can decide whether to incorporate what it says into our understanding of ourselves and others and of our world and how it works. In my essay I point out what I discovered, by critical analysis. I pass judgment, criticize the piece, by expressing my opinion of what the writers say. What I am doing is called censuring. NOTE: that is censure not censor: there is a difference between the two words. Censuring is expressing disapproval of something. When someone or a group use their Religious beliefs to harm others (whether intentionally or unintentionally) it is, in my opinion, immoral to say nothing. If someone is going to stick a pamphlet in my door, I am going to read it critically. it would be intellectually dishonest and immoral in my opinion to just accept what someone says without determining its truth or dishonesty. I also reserve the right to express my opinion on the piece. Politicians, in my opinion, should treat Biblical citations used by their opponents in the same way. They should check the citation for accuracy, expose the flaws with the argument, and offer a better argument. This topic is continued in the Part 2 of this essay. What the Hebrew and Christian Scriptures say and mean about same-gender sexual behavior. Religious freedom to discriminate against others.